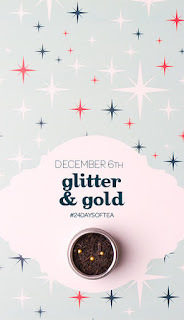 I started David's Tea's Advent Calendar this week and I am loving it so far! 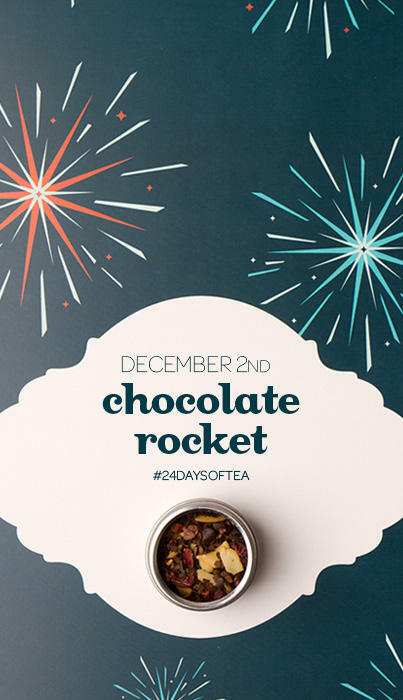 It is so much fun to try a new tea every day. I have quite the obsession with David's Tea and it has been fun trying some of their teas that I haven't been able to try yet. I have loved some and will probably go in a buy some more and others I don't think I will be having again, but they were all fun to try. Here is this weeks teas and my thoughts on each. This was day one of my 24daysoftea and boy did it start off right. Such a wonderful smelling tea. I loved how rich and creamy it tasted. I had it with milk and it was perfect for the cold winter morning and is something that I will consider buying more of. I can’t wait to try it iced and as a latte. I am not sure how I felt about this tea. It was spicy for sure. Nothing special and probably not something I would pick up in the store but it was drinkable. Wow! This has to be my favourite so far! (4 days in, so I guess that doesn’t mean much, but it is going to be hard to beat!) This stuff smells AMAZING! I am currently making a latte of it as we speak. So good. I had it with milk this morning and everyone kept asking me what I was drinking, it smelt that good. This is one to add to the list of to purchase. 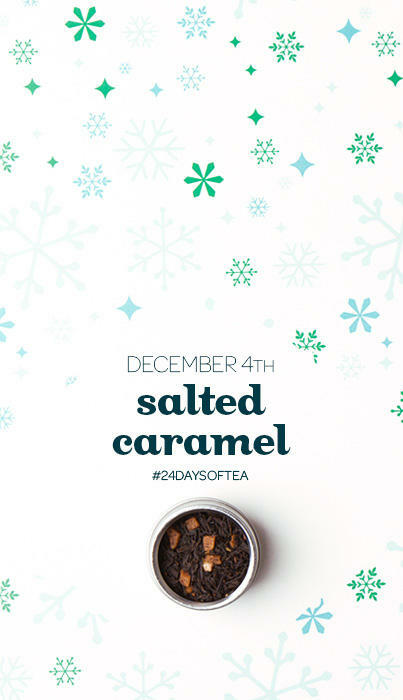 I have a feeling these 24daysoftea are going to be dangerous on my wallet. 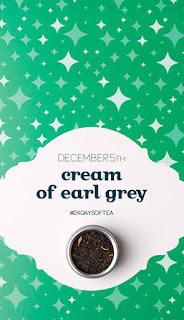 Day 5 was my favourite everyday tea. 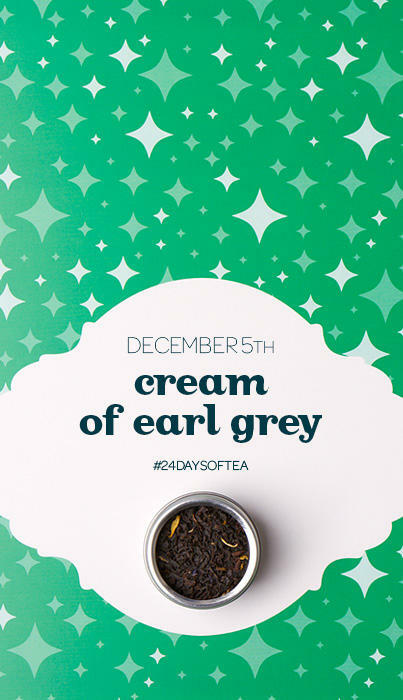 I love cream of earl grey. It is my usual morning tea and is one that I always have on hand. At first I was a little disappointed that this was the tea for the day because I have been enjoying trying new things but once I had my first sip of it, I realized how much I missed it. Plus having drank all those other teas made me appreciate what I love about this one. 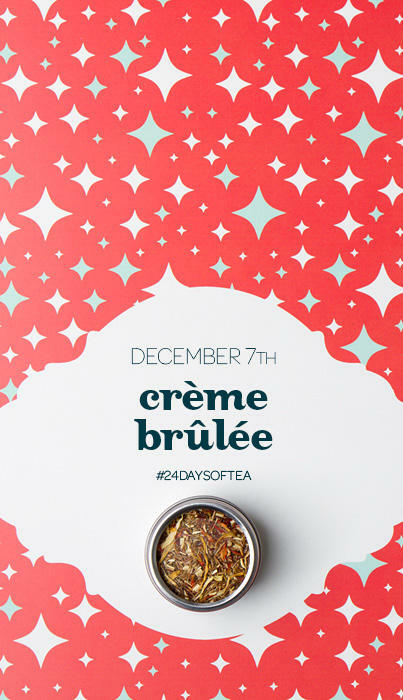 It became so everyday for me I almost stopped noticing how its creamy with a hint of vanilla. It was just what I needed. Day 6. Another black tea. Not that I am complaining. This was the tea that I was most excited to try. I have heard nothing but good things about it. It truly is beautiful. 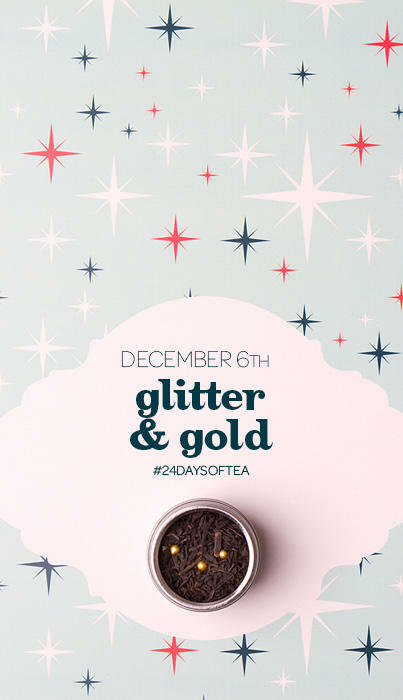 The glitter from the rock sugar and the gold from the golden balls dotted throughout. It just adds some sparkle to your day. I enjoyed the taste but it was nothing that made me swoon. I would drink this again and I would consider purchasing some. Wow, its hard to believe I am a week into this. I was excited to see that it was a rooibos this morning but I decided to wait and drink it later in the evening since it has no caffeine. 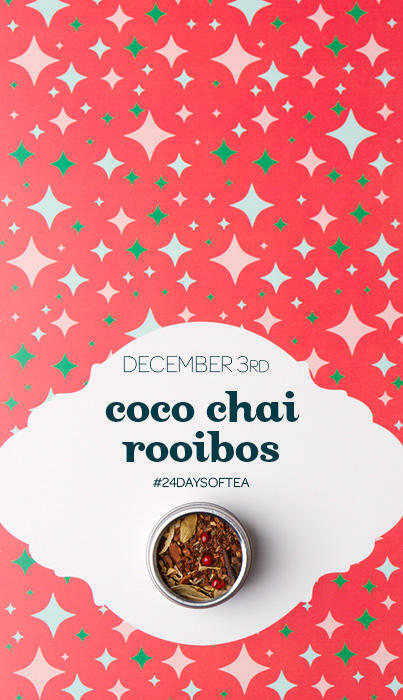 I have never tried a desert rooibos before and I was very happy with this one. It wasn't as heavy or as sweet tasting as the black desert teas that David's has. 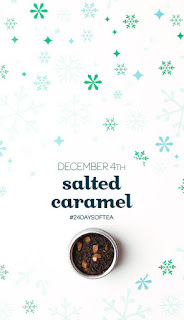 It had just enough of a carmel hint. It was surprisingly different then most rooibos' that I have tried which were more woodsy tasting. All in all it was a good way to end the week. I cannot wait to see what this coming week brings! 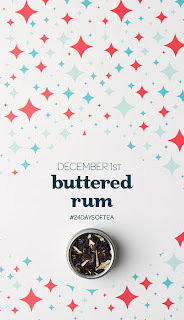 There are still a lot of teas left in the calendar that I am itching to try.